Want to meal prep like the pros? How to calculate your macro-nutrient intake for optimal results. – This information is absolutely crucial to your success! The foundation of a successful meal prep. How to store your meals so they taste great every time. How to properly cook meat so it tastes great after re-heating. 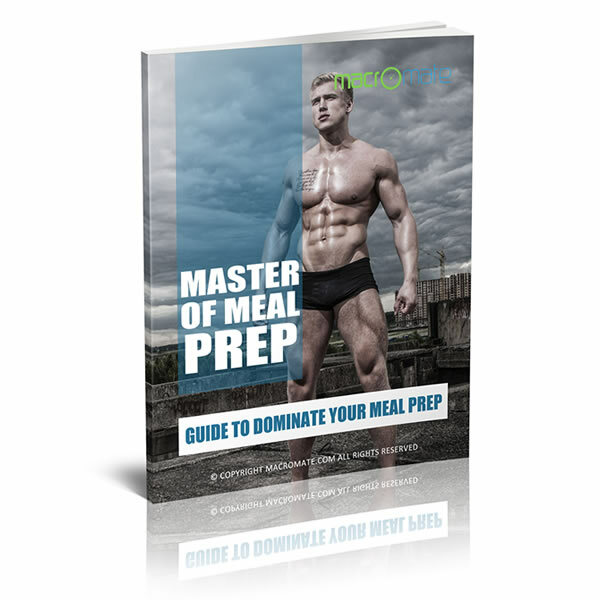 Plus many great prepping tips to stay on track. NOTE: This is a downloadable product so there is no waiting for shipping and you can start using the product in just seconds from now. Spend over $100 on Macromate™ products and get this guide for free!